I was first published in print several years ago, but I haven't had much in the way of bylines since then. Until now. Below is a copy of the table of contents page for the current issue of Library Media Connection. The Gale TEAMS Award that we won in fall 2011 was also sponsored by LMC. 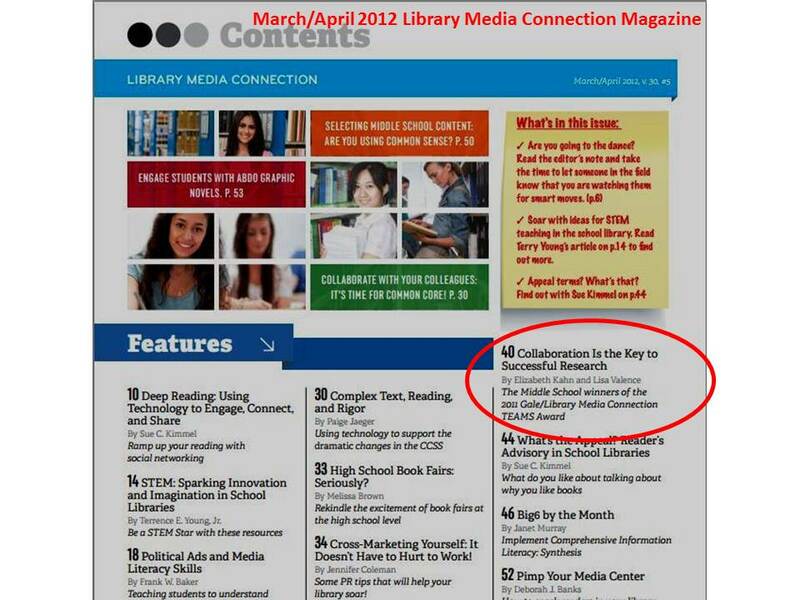 The editorial staff asked if Lisa Valence and I would write an article describing the project that won us the award. 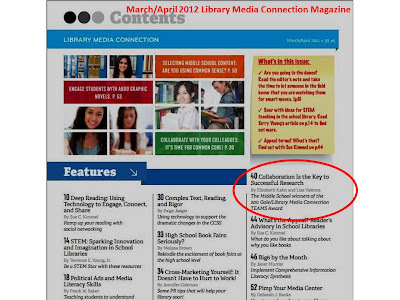 If you have the current copy of LMC, you can read all about it on page 40. If you can't get a copy, click the link underneath the table of contents below to read a pdf version. One of my colleagues in Jefferson Parish, TerryYoung, has an article on page 14 in this edition, and it is all about STEM resources.